Is it the rampant Francophilia that has taken to the American beauty and fashion spheres or a sincere desire to trash my Muji cable knit hat in favor of something with more verve and style? I suspect a combination of both. And, a quick google search leads me to believe that I am not alone in this desire. Urban Outfitters, Free People and J.Crew have included this beloved accessory in their assortments. What took so long for such a lovable French staple to cross the ocean? Perhaps it is the very specific iconography that has kept it on the outs of my wardrobe. One must be weary of falling into the trap of cliches in the form of neck scarves, skinny jeans and stripes which can translate as more contrived than honest-to-goodness style. The vast majority of us want our wardrobe to reflect creativity and unique taste rather than something blatantly copied, off the rack, or in this case, imported. 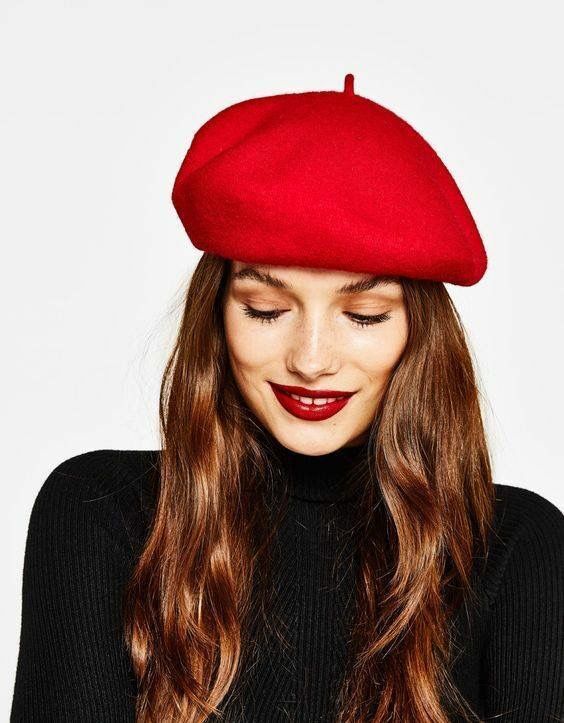 And so in the spirit of smart style inspiration, I’ve scoured the web for what I consider to be the most honest and stylish moments of the beret. My findings? A trench help, as does a black turtle neck or pops of color. But really, in the end, you can wear it any way you choose.